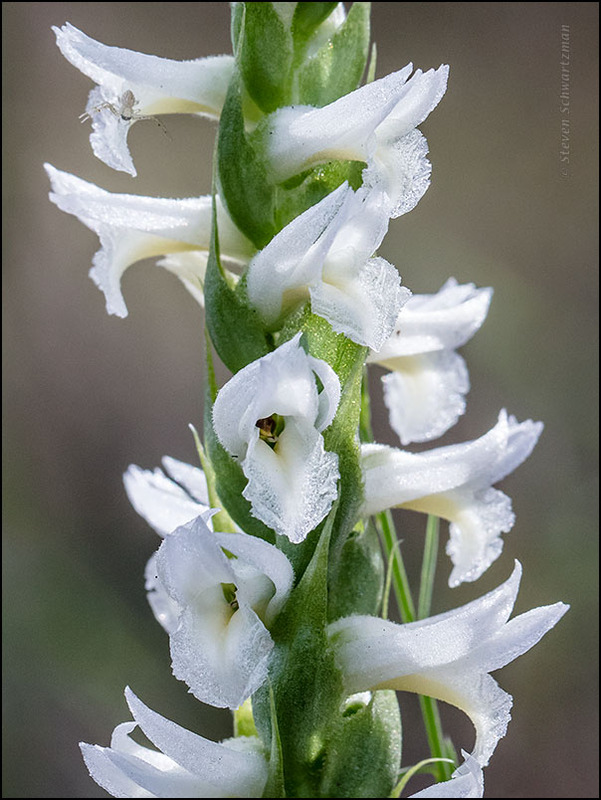 In a comment an hour ago on this morning’s post about a Great Plains ladies’ tresses orchid (Spiranthes magnicamporum), Dianne requested a closeup. Okay, I’m easy. Here’s a zoomed-in look at a picture I took yesterday of one of these orchids alone. Actually not alone, as I discovered when I looked at the enlargement: in the upper left corner of the picture you’ll find a crab spider whose body probably wasn’t more than one-eighth of an inch (3mm) long. Yesterday morning I got my annual wake-up call in the form of an e-mail from Meg Inglis alerting me that the Great Plains ladies’ tresses orchids (Spiranthes magnicamporum) in her area to the west of Austin were flowering. Within a couple of hours I went to a place in my part of town that has been reliable for that species, and sure enough, I found some orchids that were doing their thing. In other years I’ve shown you ladies’ tresses in isolation, so this year for variety I’m giving you a picture of an orchid I found yesterday touching a plant called queen’s delight (Stillingia texana). 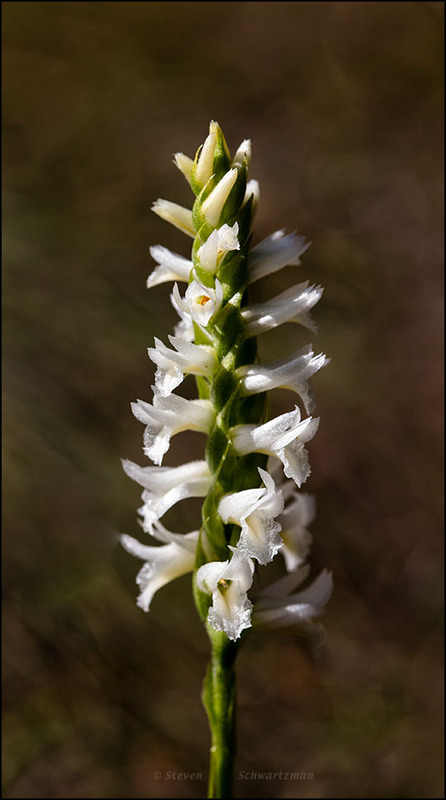 Not long ago you saw a developing Great Plains ladies’ tresses orchid (Spiranthes magnicamporum). Now here’s a fully developed and decidedly vertebral specimen that I found on October 31st near the intersection of Old Spicewood Springs Rd. and Spicewood Springs Rd. before I continued a few hundred feet downhill to photograph the maximally flowing waterfall on a tributary of Bull Creek. At a different scale, note the drops of rain on this orchid. 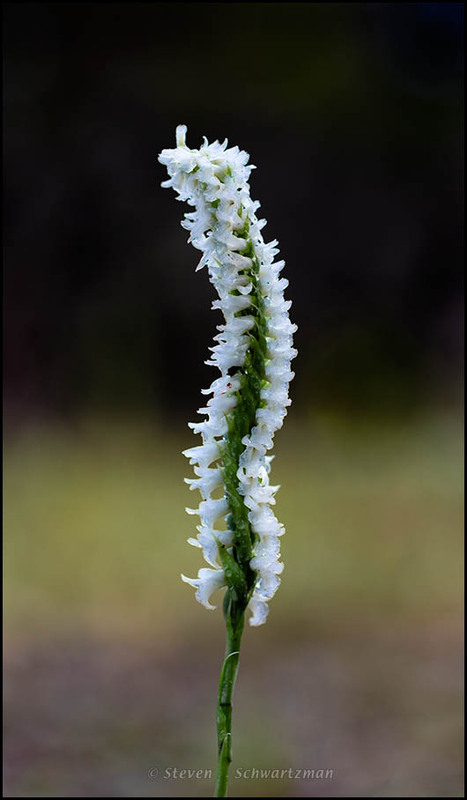 When I was at the Wild Basin Wilderness Preserve on October 27th I saw exactly one Great Plains ladies’ tresses orchid (Spiranthes magnicamporum), and it was at the stage where its flowers were just coming out. Don’t you like the way the arc of grass in the background frames the upper part of the orchid? 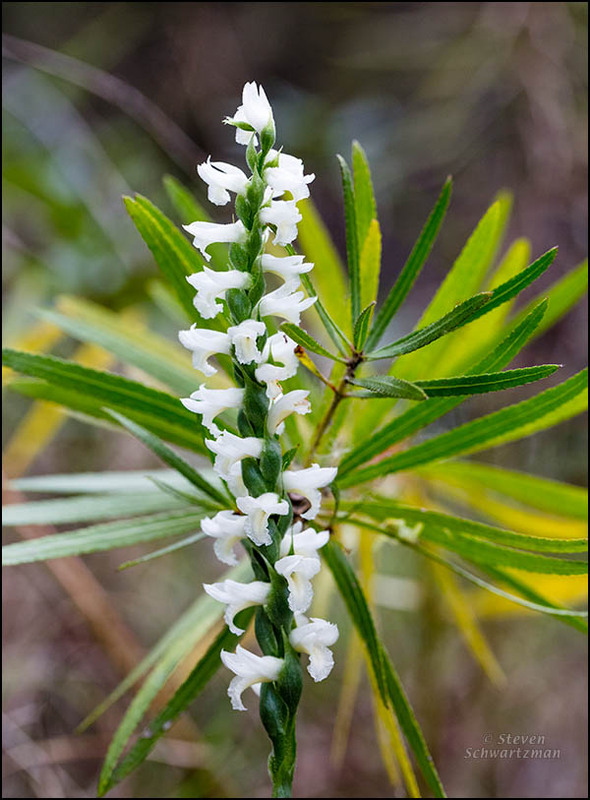 Now if we could just get someone down by the river in St. Louis to build a huge sculpture in the shape of one of these orchids….